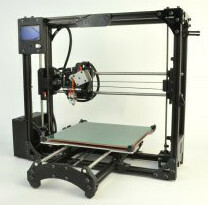 In October 2012, the LulzBot AO-100 3D printer became the first hardware product to be awarded use of the FSF's RYF certification mark. Since that time, Aleph Objects, Inc. has continued to release new and improved successors to the AO-100 model, including the AO-101, TAZ, TAZ 2, and TAZ 3, each of which have complied with RYF certification mark requirements. The latest model, which can be purchased online, has both hardware and software improvements, including a controller with a graphical LCD interface that allows users to print from an SD card and to perform printer start up, selection, and configuration changes.